Baby Lock offers superior quality and convenience features. As an authorized Baby Lock dealer, we love to share our knowledge of this line and help you unlock the full potential of your sewing machine! If you have purchased your Baby Lock sewing machine from Urban Spools, this class is offered at no cost. Simply call our store to add yourself to the roster. This course is also offered on-demand. Simply call our store to inquire about scheduling a time. In this class, you will learn about all features of your Baby Lock sewing machine from press button features, tension adjustment, stitch length adjustment, and stitch type adjustment. We will also review how to use common feet included with many of the Baby Lock sewing machines and there purpose. 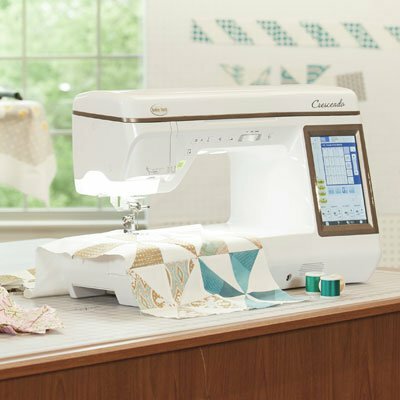 You will get hands-on practice on the Baby Lock Presto II and will get a review of the full line of sewing machines in this course. The instructor will also review more advanced features of our top of the line Baby Lock Crescendo.